Years of holding the phone to your ear, wearing heavy earrings or sustaining trauma to your earlobes can contribute to the need for lobe repair. Whether this has created an overly large hole or a full tear or split to the lobe, plastic surgeon James Matas, MD can likely repair its appearance through minor cosmetic surgery. Earlobe repair surgery is done using only local anesthetic, and has no downtime or recovery period. Once the lobe has been numbed with anesthetic, Dr. Matas makes an incision around the existing opening, removing a thin strip of skin. Once the skin has been removed, the two layers of fresh skin are brought together and sutured with special sutures. Within a few days, the sutures are carefully removed so as not to leave any suture marks. Re-piercing of the earlobe takes place in 6 weeks time using surgical steel posts that you provide. The new hole will be placed in a slightly different location from the original hole so that the hole does not reopen or stretch again. 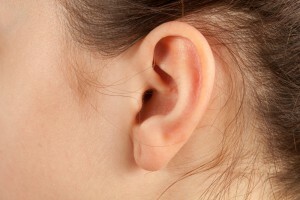 In older women, we often observe the earlobes becoming longer than they were at an earlier age. In this situation, an earlobe reduction can also be performed to shorten and tighten the lobes.